Popular jailbreak developer Ryan Petrich (@rpetrich) has updated his successful Activator package to add support for iOS 7.1.x. Rather, we should stress that “Activator beta,” which is available from Petrich’s private repository (more on this below), is the package to have received the update, though prospective jailbreakers shouldn’t be put off: this version of the software is remarkably stable and feels like a final release. 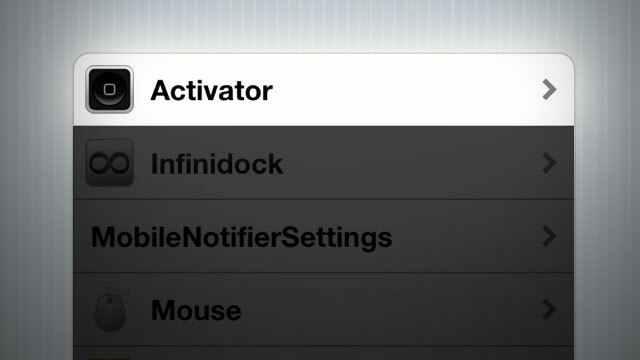 Once added, Activator 1.8.4-rc1 should be available to download free of charge. If you’re running an iOS 7.1.x-powered device, remember you can jailbreak the smartphone or tablet using the Pangu method: this can be downloaded free of charge at en.pangu.io, and versions of the software are available for both OS X and Windows. Since Pangu launched for jailbreakers, a selection of impressive packages have appeared on the Cydia Store. These include xNotiLockColor, OneThumb, PopSearch, and HandsFree. The popular package Springtomize 3 also got an update adding iOS 7.1.x compatibility, too. As mentioned, Activator beta for iOS 7.1.x can be downloaded on the Cydia Store free of charge. Just be sure to have added Petrich’s beta repository to your list of approved sources. See also: Sky Force 2014 update to bring new ‘Stage 8,’ tournament levels and more, Keyboard Maestro Control gets a big update: goes universal and adds 4-inch screen support, and Arrr! Chillingo teams up with Nitro Games for Gang of Pirates combat strategy game.